Jammu & Kashmir is a prominent tourist destination of India of which Srinagar is considered the summer capital and Jammu the winter capital. 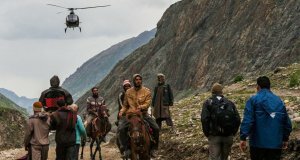 Set against the Pir Panjal Mountain Range and the mighty Himalayas, the place has a lot to offer to adventure enthusiasts, nature lovers, and pilgrims. The Amar Mahal Museum and the Dogra Art Museum are two of the museums in Jammu which are noted among art lovers. 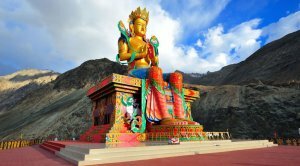 Vaishno Devi, The Dargah Garib Shah, the Bahu Temple, the Ziarat Baba Buddan Shah, the Shiv Khori, and the Peer Kho Cave Temple are a few of the famous religious destinations here. 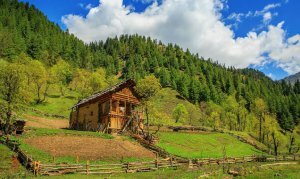 Clear blue waters, mountains, lakes, and pleasant climate are the most prominent features of the valley of Kashmir. 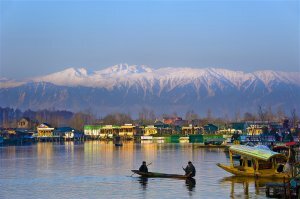 Orchards of apple and cherry, shikara rides, gondola rides, houseboats, and Kashmiri handicrafts are some of the attractions unique to this place. 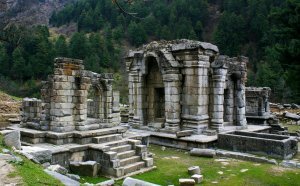 It is also a noted pilgrimage destination with several mosques and temples such as the Hazratbal Mosque, the Jamia Masjid, the Charar-i-Sharif, the Kheer Bhavani Temple, the Martand Sun Temple, and the Shankaracharya Temple. Travelers can also visit the famous Mughal gardens like the Nishat Garden, the Shalimar Garden, and the Chashm-e-Shahi Gardens, which represent the opulence of the bygone Mughal Empire. 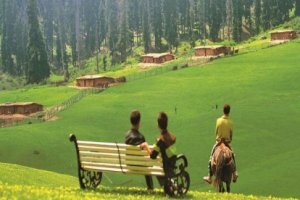 Places like Pahalgam, Sonamarg, Patnitop, Drass, Gulmarg, and Kargil are renowned for their natural beauty. 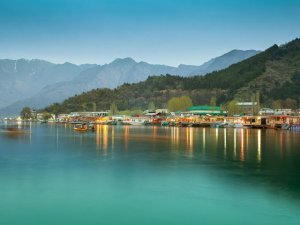 The Dal Lake and the Nagin Lake are two of the most famous lakes in the region. 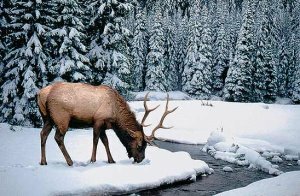 The different national parks and biosphere reserves of Kashmir including the Dachigam Wild Life Sanctuary, the Gulmarg Biosphere Reserve, the Hemis High Altitude Wildlife Sanctuary, and the Overa National Park are famous among wild life enthusiasts and nature lovers. There are abundant opportunities for the adventure sport aficionados like mountaineering, hiking, trekking, rafting, skiing and other winter sports. Places like Patnitop, Gulmarg Krimchi, and Kishtwar are some of the noted destinations for adventure sports. 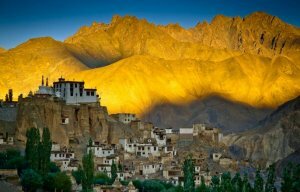 Ladakh is well known for its numerous ancient monasteries, palaces and many trekking opportunities. 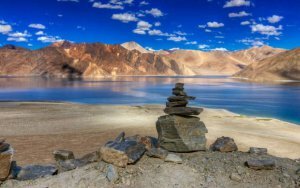 Famous is the disputed Pangong Lake, Ladakh is also known for its culture and wild untamed beauty.